Our wonderful sponsors are the reason that we are able to bring you First Friday! Please visit our generous businesses who care about the Leonardtown community. 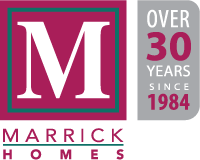 MARRICK HOMES (Platinum Level Sponsor) – Marrick Homes provides their homeowners with a superior quality product at an excellent value, along with exemplary service and a total commitment to customer satisfaction. Since 1984, Marrick has been designing, customizing, and constructing homes in the Southern Maryland area to meet all of the wants and needs of their customers. When it comes to a dream home, there’s no such thing as a minor detail! For more info visit www.marrickhomes.com or call (301) 855-3828. QUALITY BUILT HOMES (QBH) (Platinum Level Sponsor) – From their beginning, Quality Built Homes has always strived to provide their customers with “peace of mind” by combining construction excellence with an outstanding sales experience. QBH has been able to capitalize on decades of close working relationships with finance companies, title companies, building material suppliers and subcontractors to provide their customers with a home purchase that is complete, timely, and of exceptional value. For more info. about QBH, visit www.qbhi.com or call (410) 535-6008. 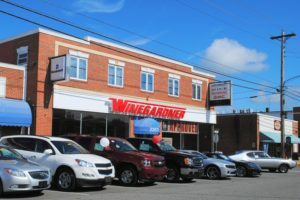 WINEGARDNER AUTO GROUP (Platinum Level Sponsor) – conveniently located on The Square in Downtown Leonardtown as well as several other convenient Southern Maryland locations, Winegardner Auto offers a complete collection of quality new and used cars, trucks, and SUV’s to choose from.Their Service Departments offer high quality levels of automotive care and maintenance, and their state-of-the-art facilities feature the most current diagnostic and repair equipment available. Stop sometime at 22675 Washington St., (240) 577-7205 or visit www.winegardnerauto.com. We are adding new sponsors! Please come back and visit!